My blog – what next? Our beautiful baby boy is here and already happily taking up all of our time, for which I am eternally and completely grateful. I don’t feel the need to change this blog into a mummy/baby blog now. I started writing as a way of dealing with my struggles to have a baby and a byproduct of this was meeting many incredible women in similar situations, all dealing with our journeys and trying to make the best of things. I have tears in my eyes thinking of all of these women and how indescribably difficult our journeys have been. I don’t think the pain of loss/infertility ever leaves you, and I wish that everyone could have their happy ending, I really truly do. I don’t think I’ll be posting regularly, if at all, but I definitely would like to be available for anyone who would like to ask about my journey, treatment etc, as some of the reproductive immunology treatment which I had was quite new and innovative, and I’d always be happy to share my experience where I could if it would help anybody else. I’m not a doctor, and won’t try to be, but I can just tell my story. Please just comment on my blog and I will reply. Thank you to everyone who has helped and supported me on my journey, I couldn’t ever have imagined meeting so many supportive people, it’s been overwhelming. I’ll keep up with blogs regularly and am so hopeful for everyone who is still trying. Here is our little bundle of happiness, our perfect, perfect boy. 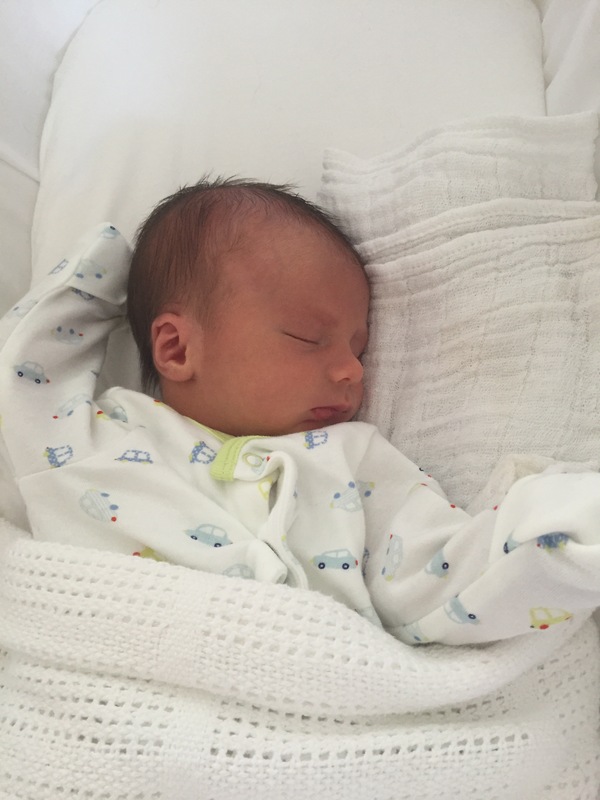 On Thursday evening I had to go to the hospital as baby wasn’t moving as much as normal. They put me on the monitor and baby woke up straightaway, so they checked me for an hour and I was sent home. They asked me to go back the next day for another check, and they also brought forward my scan from next Monday to Friday, just so they could double check that all was ok. I’ve said it before but I’ll say it again – I cannot fault the NHS for how much they’ve taken care of me in this pregnancy, I really am so grateful. I had the scan and all was well. Blood flows to baby were good and he/she is weighing in at 5lbs 6oz at exactly 35 weeks 🙂 I saw the consultant afterwards and she was happy with baby’s growth, so I’m seeing her on Monday for my usual appt with her. It was a pretty stressful couple of days, but I’m so relieved that all was ok.
Today my husband and I went to an NHS antenatal class with about 10 other couples. I’ve always been so nervous throughout my pregnancy that I’ve never dared to sign up for any classes, so I did this at the very last minute and was lucky enough to get a place. 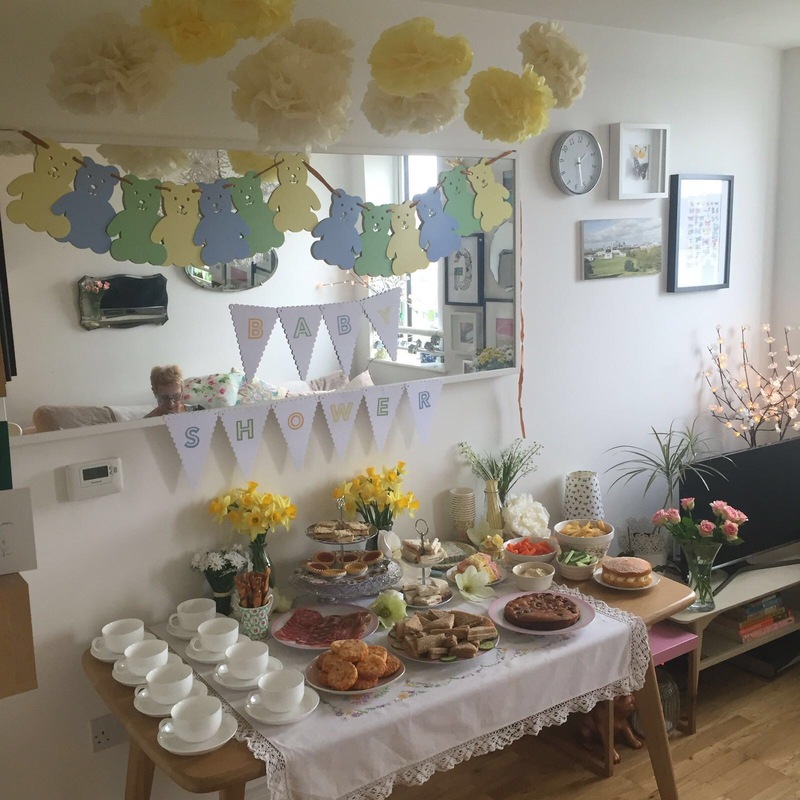 The midwife running the class was brilliant – very honest and straightforward – and she talked us through the stages of labour, pain relief, when labour changes and interventions are needed, postnatal care and breast feeding. It was a really useful session as to be honest I’ve pretty much put my head in the sand when it comes to labour. My feeling is that I’d be so relieved to have got to that point that I’d just do whatever the midwife/doctors told me to do to get baby out safely – the thought of planning what music I’d have or what angle I want the bed tilted at just seemed ridiculous to me!! So it was good to get some facts and understanding about it all.